I acquired a nice Lie-Nielsen scraper plane in a tool swap. I’m the 3rd or 4th owner. It was in great shape except for a little surface rust. While I was in the shop doing a little cleanup from the last several projects, I decided to spend a half hour cleaning it up and getting it ready for use. The photos below explain the basic process I went through. First, I went about removing the rust with 100-grit sandpaper. I took some care to keep the scratch pattern straight and consistent with the original pattern from the factory’s grinding machines. Then I moved up to 120-grit, finishing up with 400-grit and then a final polish with a green non-woven abrasive cloth, again keeping the scratch pattern consistent. While I was at it, I used the 400-grit paper to polish up the smooth portions of the blade holder. To clean the accumulation of dust and grime from the inside, painted bed, I removed the tote and knob then used an old toothbrush to get rid of most of the dirt. Where I couldn’t reach with the brush, I used a long cotton swab — you know, the kind you see in jars in doctor’s offices. You can buy a pack of 100 from Grainger (formerly Lab Safety Supply) for about $5 or 1,000 for about $25. I use them a lot. After most of the dirt was brushed away, I wiped out the bed with a rag dampened with WD-40 then re-installed the tote and knob. For the rougher portions of the brass castings on the blade holder, I scrubbed them with a brass-bristle brush. This removed the grime from the shallow recesses of the castings. Before installing the blade, I applied a coat of clear paste wax to the bare steel and brass to hopefully stall any more rusting. 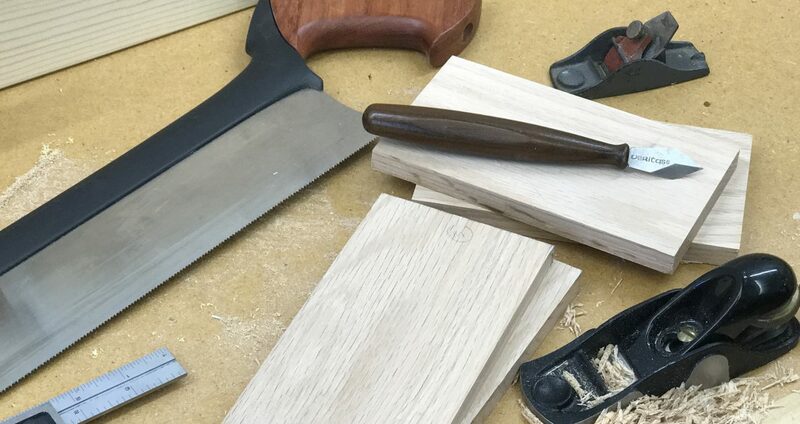 Posted on September 3, 2013 September 2, 2013 by Randy MaxeyPosted in Hand Planes, Hand Tools, WoodworkingTagged Hand Planes, Tools.